At first glance, all spa covers may look alike, but trust us, that's the furthest thing from the truth. What separates Coast Spas covers are the materials, manufacturing processes and craftmanship that goes into making them. With Coast Spas Covers, you get the best that money can buy, for less than you expect. Why Buy A Coast Spas Cover? We stand behind our product, regarding both materials and workmanship. 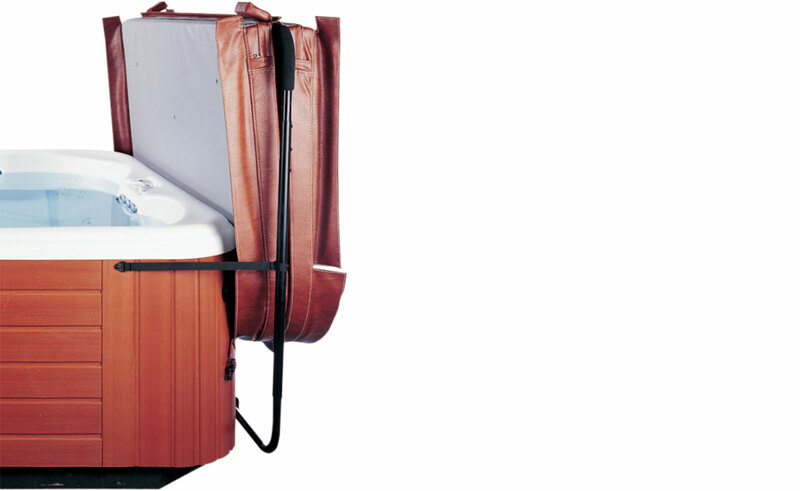 We guarantee that Coast Spa Covers are an excellent and industry-leading product. While many competitors use regrind in their foam cores to save them money during production, we use only virgin foam cores which saves you money-and provides you a stronger more durable, more energy-efficient cover. Vinyl is treated with mildew and UV inhibitors for overall longevity year round beauty. We have not gone to the less expensive materials without the plasticizers. The material still has the flexibility to stretch with the core rather than failing at points of stress where the less expensive vinyl cannot compete. The vinyl has a negative 20 degree cold crack rating and is tested to 1500 UV hours. The revolutionary insulating gasket seal prevents heat loss where the two cover halves fold together. When the cover is shut, the two halves seal automatically which is critical to long-term energy savings. Payback on energy savings is typically seen in less than 12 months, according to independent testing. State-of-the-art equipment is used to heat seal the cores with Antaeus 2000™. Scientifically formulated plastic was developed exclusively for Coast Spas covers to inhibit moisture absorption. The 4 mil plastic is more effective than the typically used 3 mil plastic. The specially formulated material reduces vapor transmission and presents the same properties of strength, flexibility, transparency and seal ability their quality control standards require. These “low profile” grommets are another Coast Spa Cover exclusive, placed on the underside of the cover to prevent water from accumulating between the vinyl and the foam core. Made of industrial-grade nylon, these non-corrosive grommets are designed not to protrude; therefore they won’t scratch the lip of the spa as the cover is slid off. 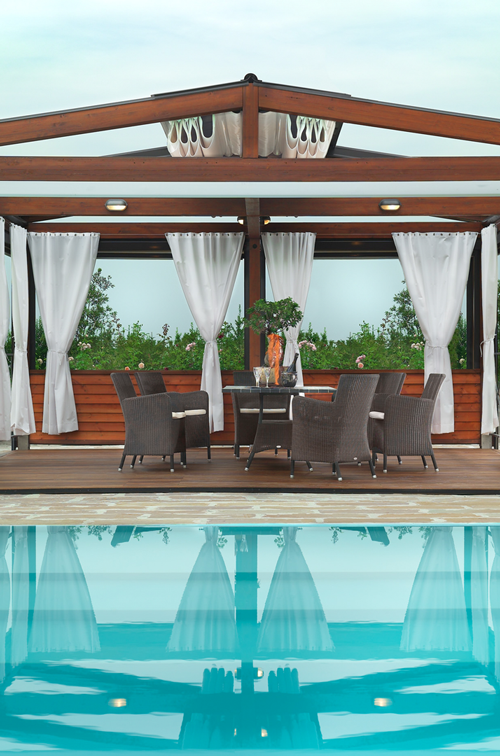 The underside of Coast Spa covers are made using this strong mildew resistant material. This product is so strurdy that it is used throughout the cover for extra internal reinforcement. 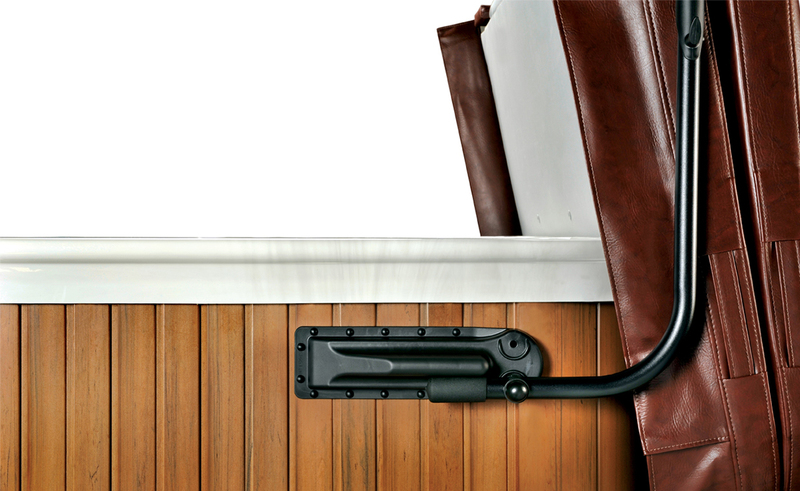 The Coast Spas covers' Tough ‘n' Sturdy hinge offers four layers of vinyl, adding extra durability and strength to this high-stress area. The hinge was put to the test when a cover was hooked up to an automatic arm, which lifted the cover on and off more than 6000 times with no discernible wear to the hinge. The Coast Spas Covers' five layers of internal reinforcement add strength where it’s needed most. Unlike the hot tub cover handles on other covers, Coast Spas cover handles are engineered to be super strong, and offer foam padding inside for a longer life and greater comfort when lifting. They are fully integrated into the spa cover with additional stitching and internal reinforcing making them one of strongest available on the market. 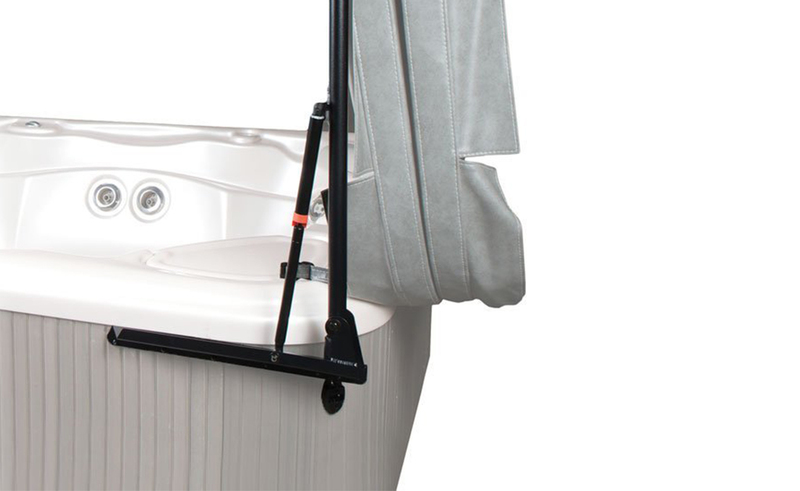 All Coast Spa Covers have tie down straps with multiple layers of internal reinforcement. Coast Spas cover skirts are double stitched into the cover for strength and gusseted to provide the best protection, keeping heat in and dirt out. While the sun beats down on your hot tub cover, extreme heat builds up between the skirt and the outer lip of the spa, and this heat can damage the outer lip of the spa. Coast Spas skirt enables this heat to escape, preventing heat damage from occurring while preventing any dirt from entering the hot tub. Using a true YKK#7 heavy-duty nylon zipper that is corrosion resistant. The zippers are covered with a vinyl protective flap along the entire length of the zipper. At Coast Spas Lifestyles we always have a huge selection of covers in stock to fit your Coast Spas hot tub. 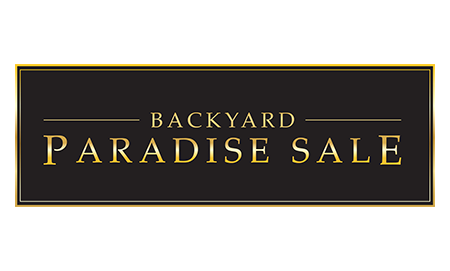 We can also custom order a hot tub cover in any size or shape for any spa. All we need is the length & width measurements and the size of the radius if you have a spa with a rounded corner. You will need two rulers or yard sticks (a framing square is a great tool to use). Place them at a 90 degree angle on the outside edge of the corner with the 0"s together. You will measure from the 0" mark to the breaking point, "where the corner starts to curve". 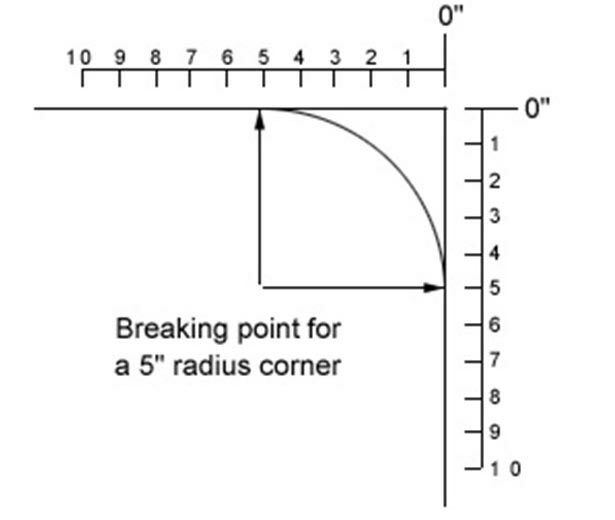 From the 0" mark to the breaking point is the size of your radius corner.